Chanel do beautiful foundations and lately it seems like every youTuber or blogger is professing their undying love over this one. 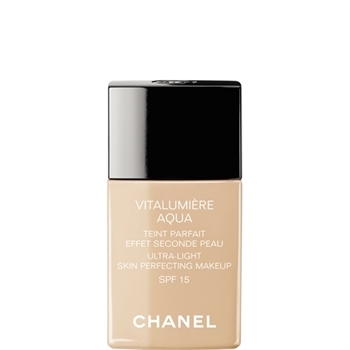 I haven't tried it, but it's on my wish list once I've finished my current Mat Lumiere foundation. What foundation is on your holy grail list? Have you tried a sample of it? I'm always getting samples of different foundations and have quite a few of the Vitalumiere on the go. Love samples! I just picked up a sample of this foundation yesterday - can't wait to try it!! I am on my third bottle of this and my second refill of the compact version. I honestly couldn't recommend it more if I tried! - Hope you manage to get your hands on it! I have to say this is on my wishlist too. I've heard nothing but good things about it from people even though many of them seem to have quite different skintypes.